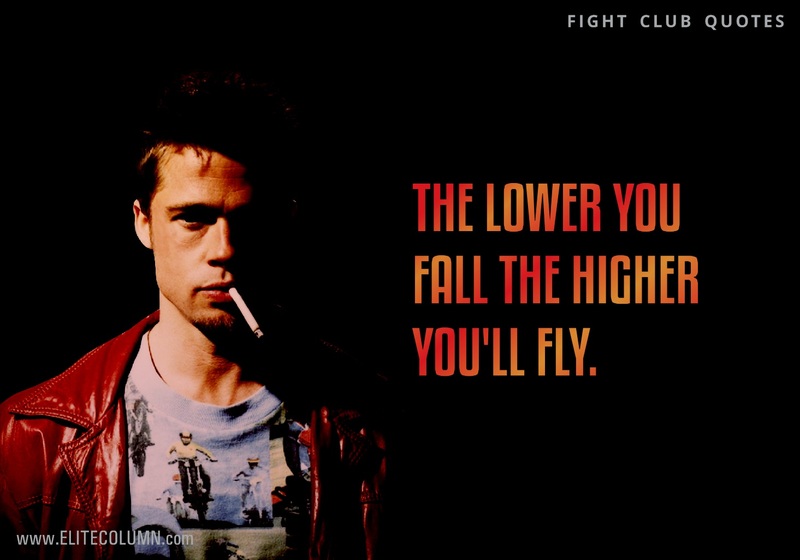 Fight club is the 1999 American film starring Brad Pitt and Edward Nortan based on the novel by Chuck Palahniuk. 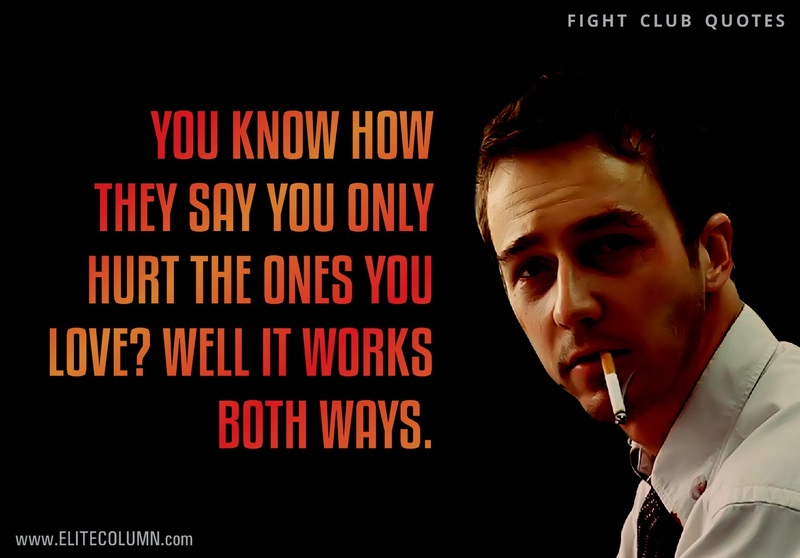 It tells the story of a narrator who is unhappy with his white collar job and forms a fight club with people who want to fight recreationally. 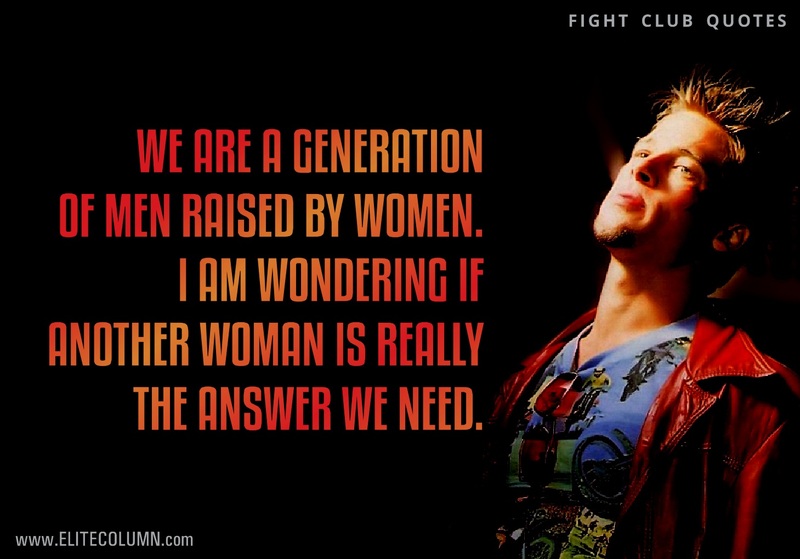 The film initially was criticized and received negative reviews for its explicit violence and some moral points. 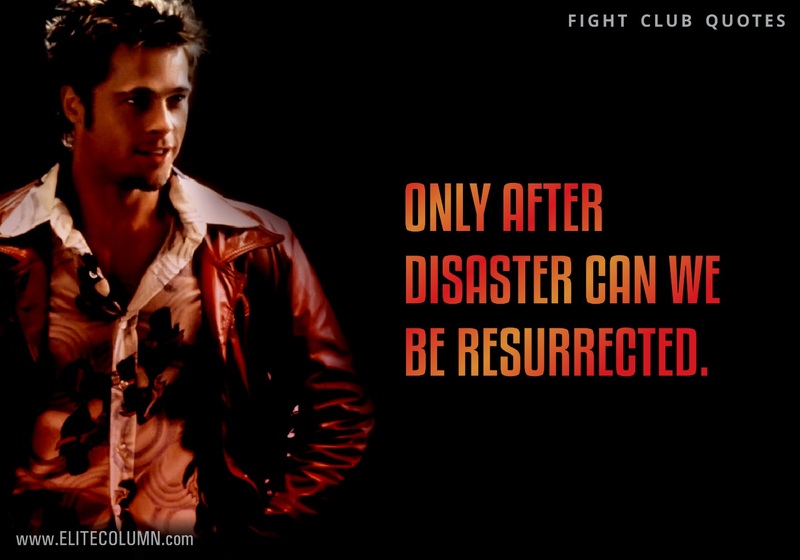 It also failed to meet the expectations at the box office. 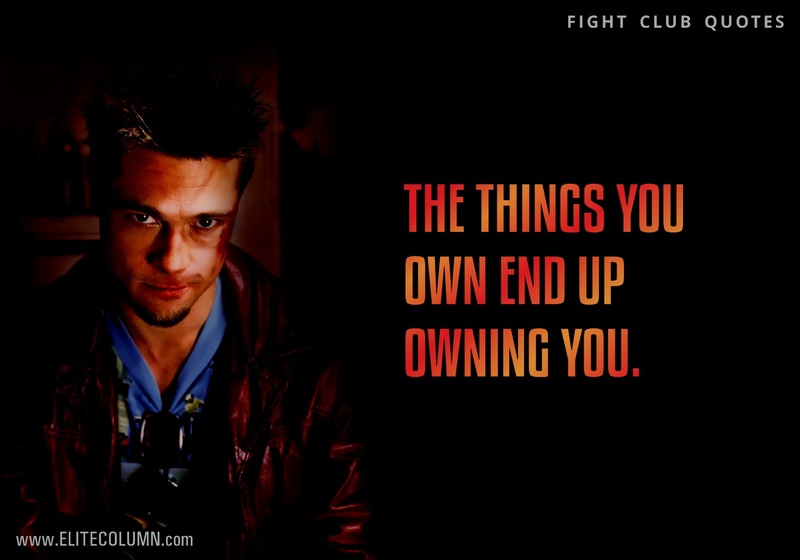 But over the years its popularity has increased and now it is considered a cult movie and one of the best films of the 1990s. 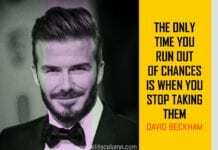 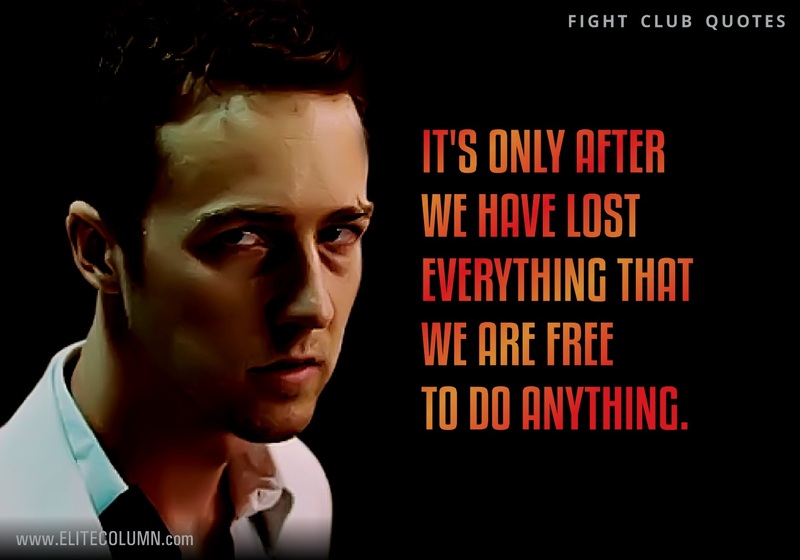 Many of the dialogues and quotes from the film have become famous for its aggressive and never give a damn projection. 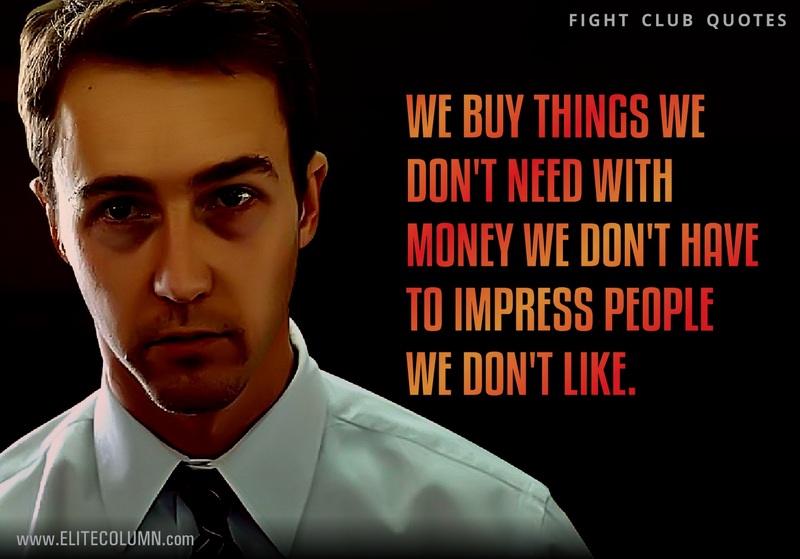 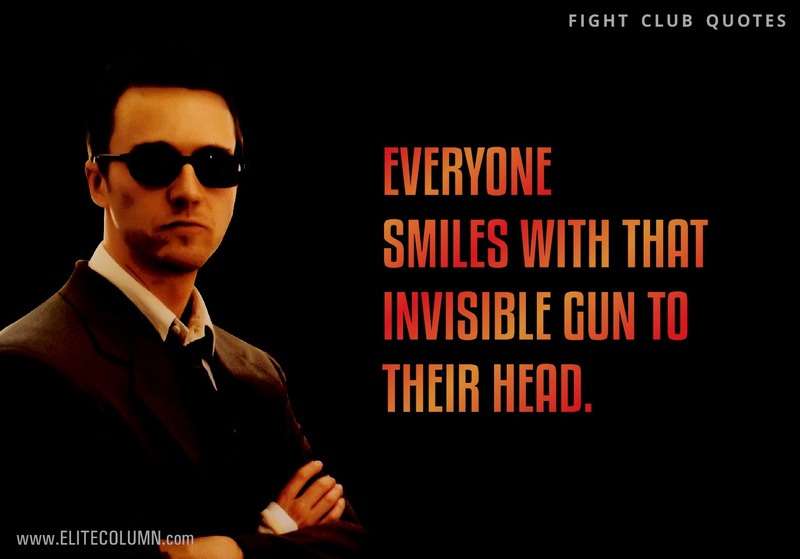 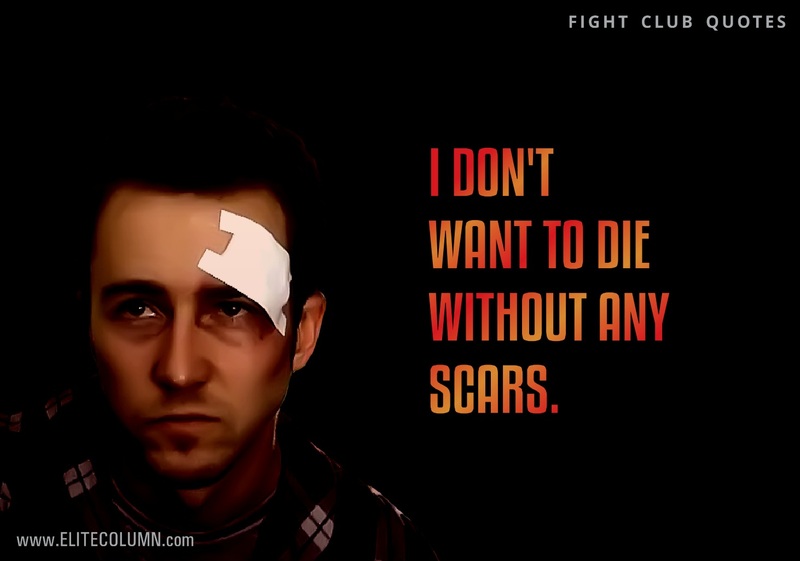 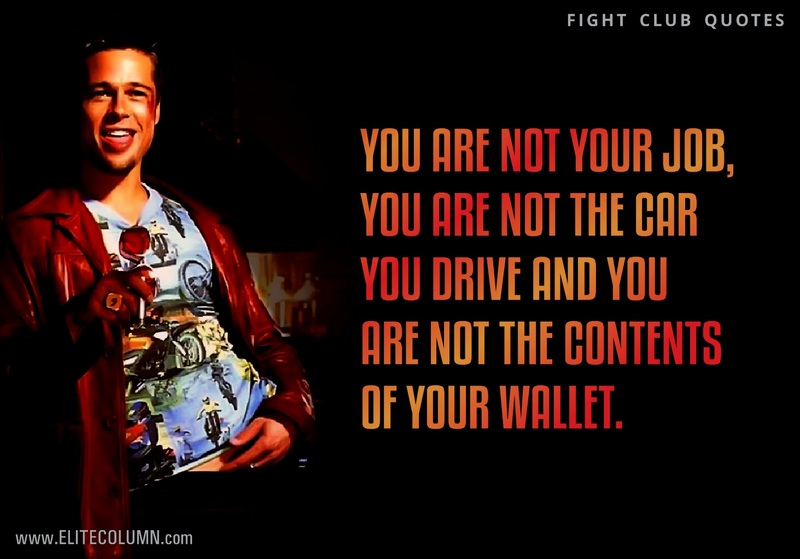 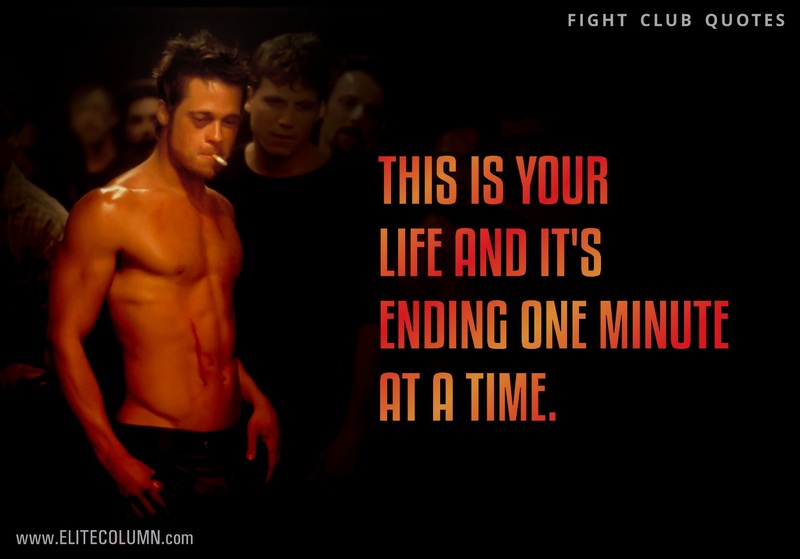 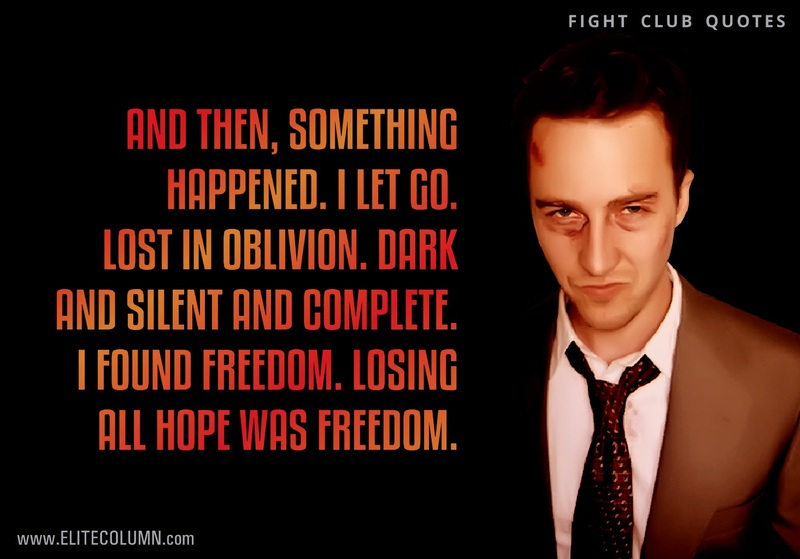 Have a look at some of the best fight Club quotes if you want to get even with your enemies.